This book centres on Samuel Pufendorf’s (1632–1694) moral and political philosophy, a subject of recently renewed interest among intellectual historians, philosophers and legal scholars in the English-speaking world. 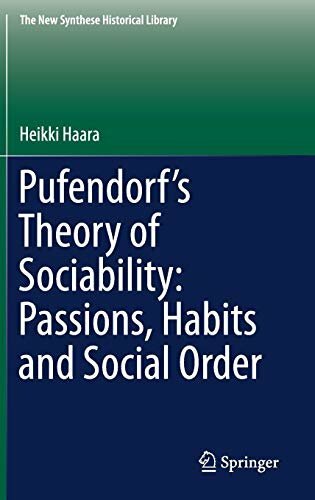 Pufendorf’s significance in conceptualizing sociability in a way that ties moral philosophy, the theory of the state, political economy, and moral psychology together has already been acknowledged, but this book is the first systematic investigation of the moral psychological underpinnings of Pufendorf’s theory of sociability in their own right. Readers will discover how Pufendorf’s psychological and social explanation of sociability plays a crucial role in his natural law theory. By drawing attention to Pufendorf’s scattered remarks and observations on human psychology, a new interpretation of the importance of moral psychology is presented. 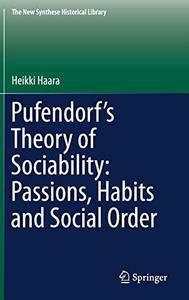 The author maintains that Pufendorf’s reflection on the psychological and physical capacities of human nature also matters for his description of how people adopt sociability as their moral standard in practice. We see how, since Pufendorf’s interest in human nature is mainly political, moral psychological formulations are important for Pufendorf’s theorizing of social and political order. This work is particularly useful for scholars investigating the multifaceted role of passions and emotions in the history of moral and political philosophy. It also affords a better understanding of what later philosophers, such as Smith, Hume or Rousseau, might have find appealing in Pufendorf’s writings. As such, this book will also interest researchers of the Enlightenment, natural law and early modern philosophy.